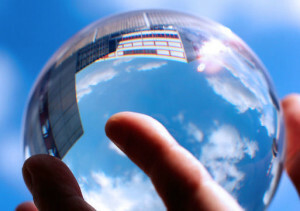 Many firms have substantial and dramatic personnel changes in their horizon. Firms should start by collecting data regarding the ages of all practicing lawyers at the firm. Using this data, firms can develop work-life timelines for partners 55 years of age and older. Work-life timelines will force law firm partners to evaluate their client relationships, professional contributions, and possible successors. Firms who prepare for the future have a real age advantage can slowly chip away at their competition as they age. The chart below, based on hypothetical data that might represent a small firm or large practice group, illustrates that clear, impactful conclusions are available through an easily undertaken demographic analysis. An age advantage occurs when a firm's or practice group's composition of partners has a 10-15 year succession line. For example, a practice group headed by a 60-year-old partner having a clear succession line to a 45-50-year-old partner is ideal. Understanding all client relationships are different, and not all clients will transition, we believe a solid succession plan with enough time to work is optimal. Consider the following work-life timeline example. The composition of this sample firm includes four equity partners, two income partners, and five associates. In this firm, equity partner retirements are planned to begin in 2018. Much will depend on the client staffing and working relationships among the partners, but this firm appears on paper to have the resources needed to handle the handle the retirements of Partner1 and Partner2. Based on this sample work life timeline, Partner1 and Partner2 are planning to begin the retirement process or fully retire within the next five years. In many instances, a five-year planning period is a luxury, and by its nature, it assumes a level of stability that may not be accurate. Nevertheless, forward-thinking firms will view this amount of time as an opportunity. 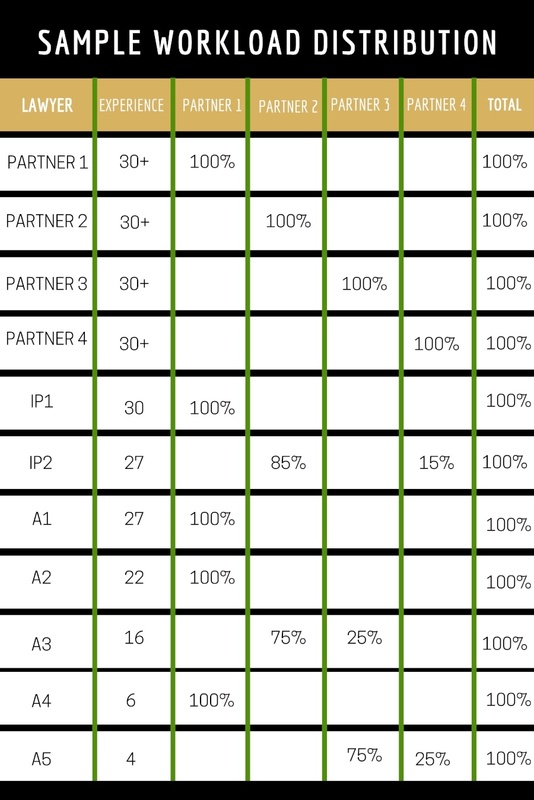 After considering work-life timelines, the next step would be to understand the workload distribution for each partner falling into the planning period – 5 years in this example. Assume the following working relationships (workload distribution), which are commonly organized around clients and work types. While a competitive staffing analysis is always healthy, in this example we are assessing practices that will be impacted by a retirement in the next five years, which would include Partner1 and Partner2. 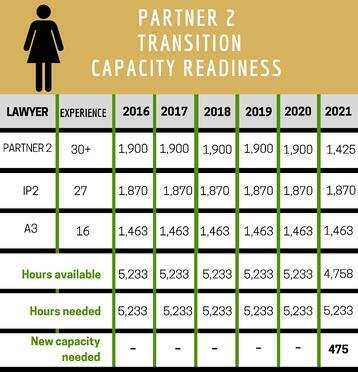 Assuming the senior members of Partner1's client service team are motivated and fully capable, the experience level and immediate capacity (see below) are in place for sustained market competitiveness and, with a future lawyer addition, an eventual transition. It is important that Partner1 honestly considers the capability of client service team members to deliver sustained high value to clients and to retain any transitioning clients as Partner1's retirement draws near. On paper, the path for Partner2’s practice is less clear. As Partner2 approaches retirement, remaining competitive and eventually transitioning, is less likely with a part-time staffing solution. Partner2, however, has more time (see work-life timeline) to address these issues. Growth or declines in client work, turnover, and retirements all impact future capacity needs. We will discuss a more detailed methodology for routinely analyzing capacity in a later post in this series. For this example, planning is focused on impending full or partial retirements over the next five years, and we assume that staffing will remain stable during the period. Partner1 and Partner2 fell within this planning period and are analyzed below. 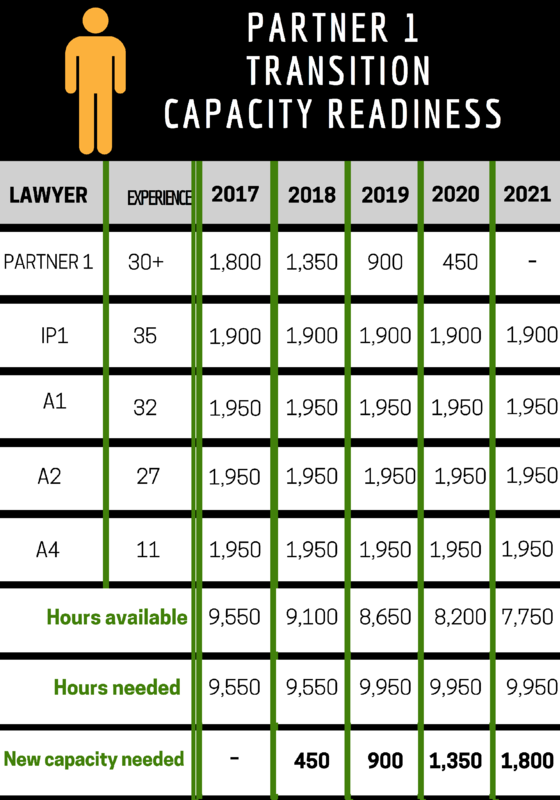 In this example, Partner1 is planning to reduce his workload by 25% (indicated in the work-life timeline), which creates the need for 450 additional billable hours (see chart above). As this team is running at near capacity, the remaining team members may decide to assume the workload related to Partner1’s reduced hours in 2018. Maintaining competitiveness and accounting for a likely learning curve, however, may require adding someone in mid-2017. It is also important to note that instability in staffing can come quickly and without warning. Running a team at full capacity and without any identifiable resources to handle unexpected events, is a risk not worth taking. Small teams can erode with the loss of just one person. Clients always value stability, but especially during a transition period. Considering only the information included in this analysis, the future of Partner2’s practice is less clear. Partner2 is planning to begin the retirement process in 2021, which allows more time. Unlike the Partner1’s practice, Partner2’s practice relies primarily on her and two other shared resources. Covering the 475 hours that Partner2 plans to reduce in 2021 will require a collaboration with the other partners who share resources with Partner2. It may be that the firm will have to absorb an underutilized lawyer during Partner2’s transition period (this may have compensation implications). Again, looking that far ahead is theoretical, but waiting until the retirement period begins is too late. Finally, as any internal leadership succession plan for Partner2’s practice will come with some disruption to another practice (recall that Partner2’s practice involves only shared resources), it should be considered well before 2021. Assessing competitiveness now and into the future requires a structured process and an objective evaluation of several factors including competitor readiness, financial heath, cost data, compensation, and marketing effectiveness.